Between 1906 and 1910, Georges Braque made several trips to the south of France and the port at L'Estaque, just west of Marseilles. There, he found the new landscapes to paint using the nonnaturalistic colors of the Fauves. 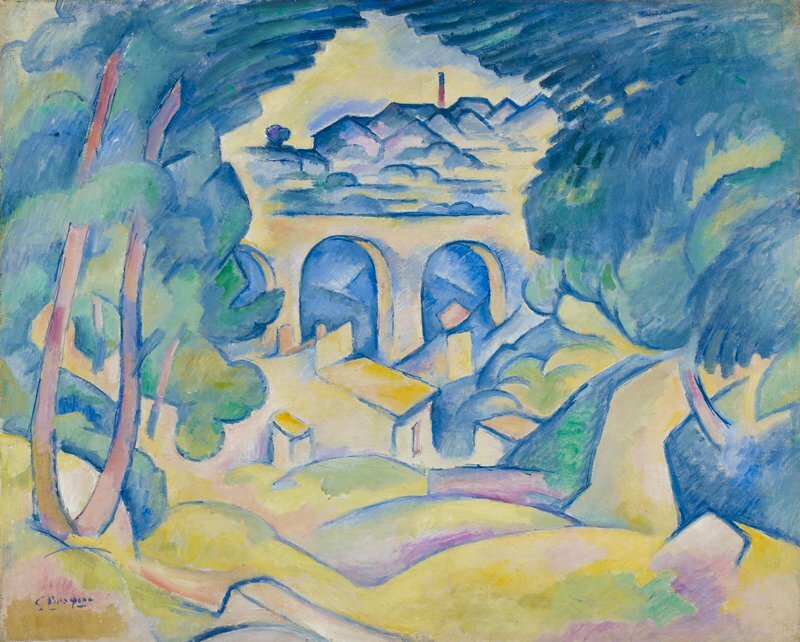 During his 1907 stay, Braque also became influenced by the art of Paul Cézanne, who had painted there earlier. Like Cézanne, Braque reduced the site to simple geometric forms. Moving beyond Cézanne's solid masses, however, Braque made the tilting planes obey his own--rather than nature's--laws. Two years after finishing this picture, Braque abandoned Fauvism for Cubism. Collection of the artist; (Galerie Kahnweiler, Paris, France by 1908); Countess Approsio, Monte Carlo, Monaco and Paris, France 1908-1979; (Galerie Berggruen, Paris, France by 1979); (E.V. Thaw & Co., New York, New York, 1981-1982); sold to MIA in 1982.